The prayer chain is a means to combine our prayers with those of the parish and community who have a need to reach out to our Lord. To pray in those instances when one just feels a need for prayers. As a group, we are able to “bombard” Heaven with our needs. Simultaneously, it presents everyone on the prayer chain an opportunity to speak with God on a personal level. Each of us is engaged in prayer not only to help others, but also to help ourselves. 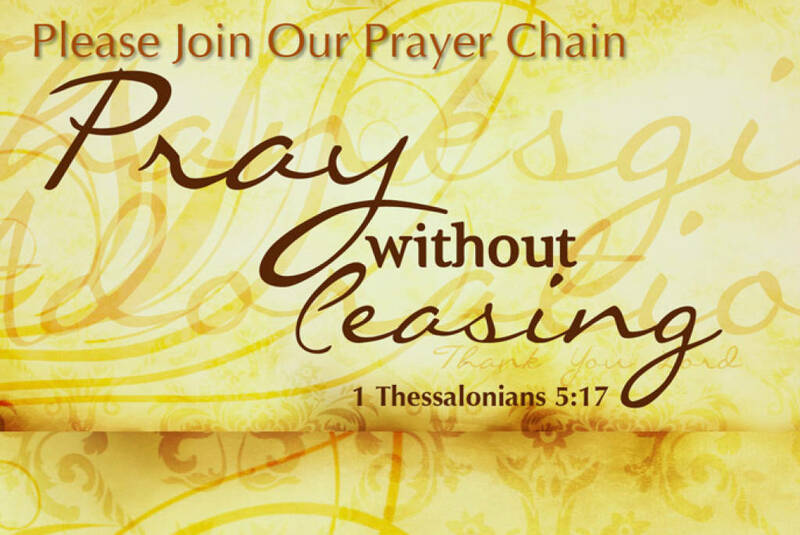 The prayer chain is a constant continuous prayer ~ someone is always praying. Knowing people are praying for our intentions brings us great comfort. Sometimes we may feel “unworthy” ~ knowing someone else is helping us along, gives us peace. For a Prayer Request, call (262-628-1141) the parish office. And we always need prayer warriors! Pray about it – consider joining us!